You’re getting divorced, and there’s much to consider. With all the changes, it’s easy to overlook how divorce will affect your medical insurance. If you’re covered through your spouse’s employment, your coverage through your ex-spouse will be canceled as of the end of the month in which your divorce is finalized. It will be up to you to make arrangements for new health insurance coverage. You do not need to wait until an open enrollment period. Divorce qualifies you to sign up for medical insurance in-between open enrollment periods. If you are employed and have health care insurance available through your own employer, you should sign up. If you do not have an employer who offers health care insurance, you will need to purchase medical insurance elsewhere. One option may be your ex-spouse’s employer. Larger employers must offer ex-spouses of employees COBRA medical insurance coverage for 36 months. The ex-spouse has to pay the premium for the COBRA insurance, without the employer subsidy that employees receive. Consequently, COBRA coverage is usually expensive, so be sure to investigate alternatives before signing up. 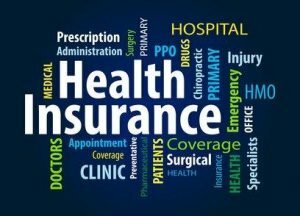 If COBRA coverage is not available or desirable, you’ll have to purchase a medical insurance policy privately or through Washington state’s health insurance exchange. If you do not purchase medical insurance you’ll not only be without important coverage, but you will also face a penalty each year. For 2017 the penalty is up to $2,085. There exist some alternatives to remain on your spouse’s medical insurance if you and your spouse are willing to delay the actual divorce. Some employers allow legally separated spouses to remain on an employee’s medical insurance; not all employers do. Several Seattle-area employers allow legally separated spouses to remain listed as a “Spouse” on their employee’s insurance, but many do not. If your considering this possibility, be sure to verify in advance whether or not the particular employer offers this benefit. Even so, there is no assurance that employers that currently allow legally separated spouses to remain as a spouse on an employee’s medical insurance will continue to do so in future years. If continued coverage as a spouse after legal separation is allowed, you can obtain a legal separation instead of divorce. A legal separation is in many ways the same as divorce: all assets and debts are allocated, support is set, and parenting arrangements for children are made. The difference between a legal separation and divorce is that your legal status is still married, so neither of you can remarry until you get divorced. Another workaround is to create a Separation Contract, and not get either a divorce or a legal separation. Under Washington law, the Separation Contract does most of what a legal separation does, except that you are not legally separated. Few employers deny spousal coverage if spouses are just separated but not legally separated (even if everything is spelled out in an enforceable contract). There are advantages and disadvantages to Separation Contracts, and it is important to have a Separation Contract prepared by a qualified divorce lawyer. It is not a “do it yourself” document. The cost of medical care in the United States is the highest in the world. So is the cost of health insurance. It is important to include the cost of future medical insurance premiums in your post-divorce budget as part of your post-divorce planning, so there are no surprises. Few people can afford an unexpected medical bill without good health care insurance. Ensuring that you have a plan for medical insurance is an important part of getting divorced.